This week we shine the spotlight on Lynne, Marketing Co-ordinator at The Granary Estates. This beautiful venue comprises two rustic barns joined together by a modern glass walkway. The Granary Girls manage to attract couples from all over the world to celebrate their special day in this equally special setting. 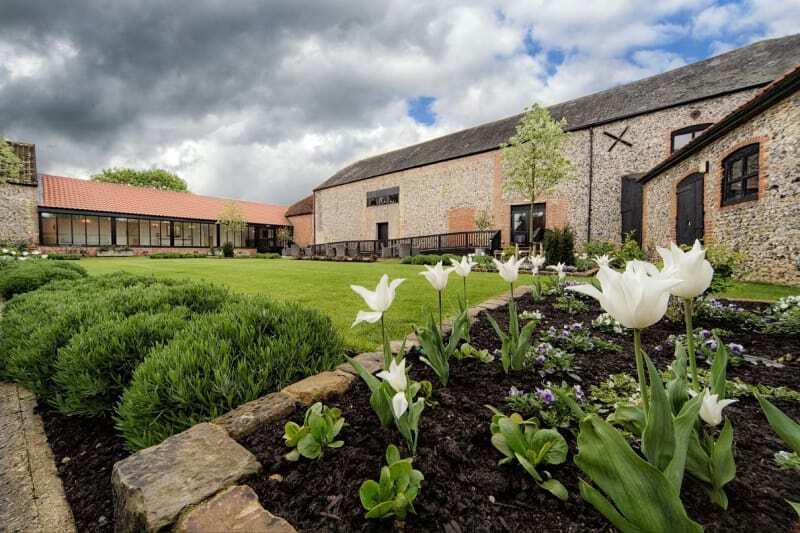 The Granary Barns opened in April 2013 and this dynamic young team are taking these stunning barns from strength to strength – read on to find out how! So without further ado, Lynne over to you! Hello! 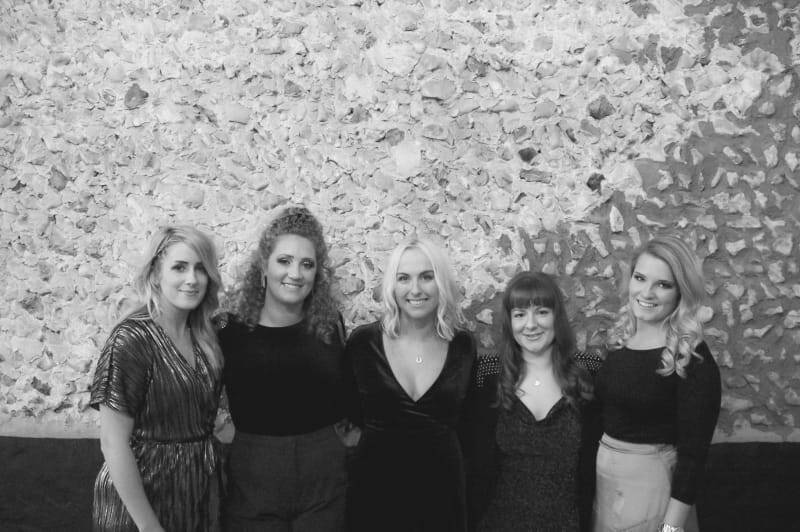 We are the GG’s (aka The Granary Girls) and we are the team behind the award-winning Granary Estates! The Estates consists of two venues located on the Suffolk/Cambridgeshire border; The Granary Barns and The Polo Club Dullingham. 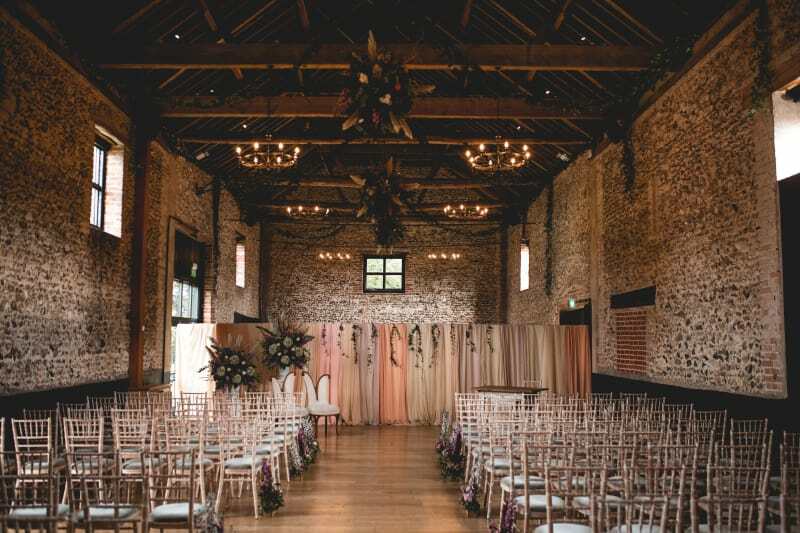 With its classic flint walls and original timber beams throughout, our 18th century Granary Barn is the perfect setting for a relaxed and intimate wedding day. The Polo club in Dullingham offers space, flexibility and versatility for those looking for a blank canvas. We operate all year round, sharing our love and passion for all things wedding! 2. Share the story of Granary Estates? The Granary Estates opened its doors in April 2013 and has continued to grow ever since! We have just completed our fifth summer wedding season, seeing our newlyweds travel from as far as Australia and America this year. Mr. Taylor, owner of The Granary Estates, grew up on the farm and had the idea to renovate the barns after attending a family wedding on the site. By implementing a stunning glass walkway, we were able to link both the smaller Flint Barn and the main Granary Barn, creating an exclusive venue space with bundles of natural light and flexibility whilst maintaining the barns natural charm and character. 3. What’s your favourite part of the venue? We love every part of the barns but if we had to choose, there’s something very special about The Flint Barn. The untouched, original timber beams give the barn an intimate and warm atmosphere as guests arrive at the venue. 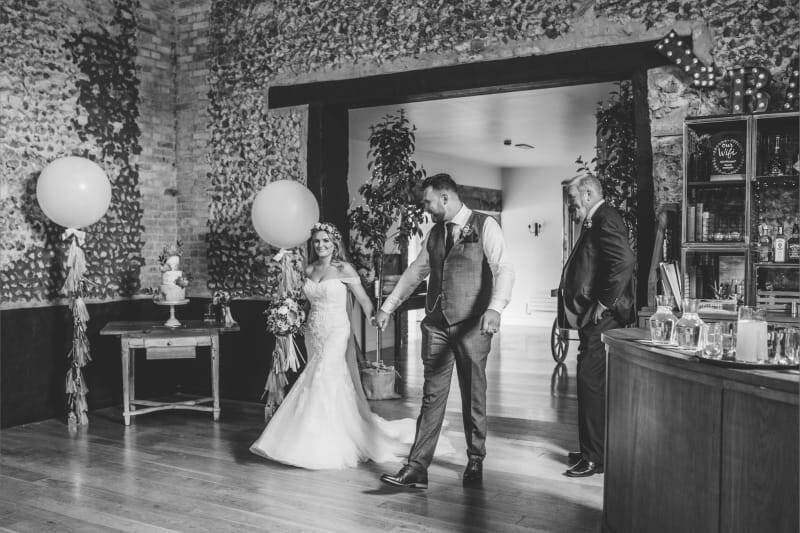 The flint walls add a rustic charm and are the perfect backdrop for the many civil ceremonies that take place here. 4. What drew you to the wedding world? 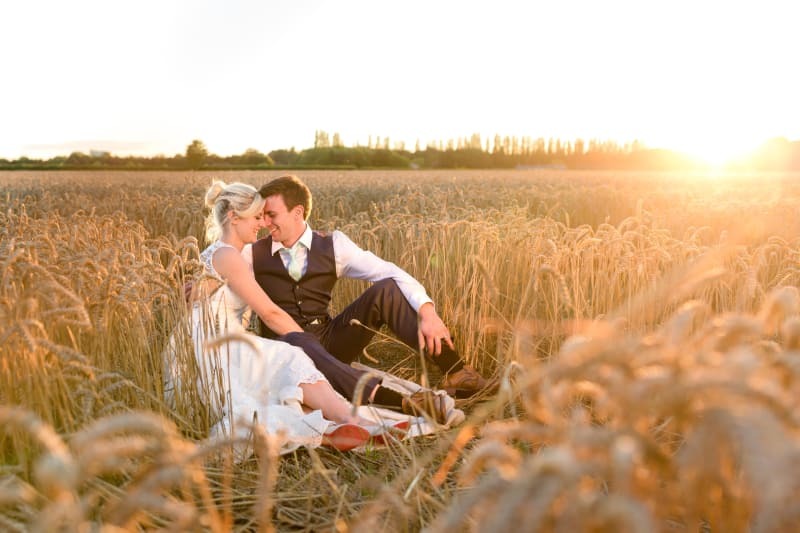 Working in weddings and events we understand how important it is to make sure our couples are stress free and able to enjoy themselves on the lead up to and on their big day. A persons wedding day is one of the most important and special days of their lives and we are honoured to be able to be a part of that. Being in the wedding industry, we enjoy working with people and find great job satisfaction in helping others to achieve their ultimate goal, whether it be through helping them to source a photographer to helping pin the button hole on to the groom’s lapel at the last minute! 5. What do you see as the biggest challenge in the wedding industry currently? Nobody can escape just how fast technology and the online industries are growing. It’s quite a hard topic to pin down, but we feel that as much as Pinterest is a fantastic platform to explore with its various ideas, planning and inspiration, this can sometimes work as a negative for some brides/grooms when planning their wedding. We feel that having these aspirational ideas from the beginning can sometimes put pressure on newly engaged couples to create the ‘perfect’ wedding. We love to encourage creativity and those all-important personal touches here at The Granary Estates and will always try to help and guide our couples if they are struggling with certain decorations or styling options. We ultimately want their wedding day to reflect them as a couple as this is what makes a wedding unique to them. 6. What wedding venue trends are you seeing in the industry? In the past few years we have noticed an increase in historical and industrial venues; those venues that can offer space and versatility to couples who want to create a wedding totally unique to them. The tradition of the bride’s family paying for the wedding is slowly fading out and in its place, we see far more couples paying for the wedding on their own. We can therefore understand how couples are preferring to have the flexibility to pick and choose certain elements of the day, being far more knowledgeable with budgets and how they can make the day work better for them. We believe this is why venues with built in character and interesting aesthetics have become more desirable as in a lot of cases there is more freedom with regards to decoration and on the flip side, less need for additional styling of so desired. 7. What is the biggest challenge you face on the wedding day itself? Our main goal on every wedding day is to ensure that our soon-to-be-wed couple are happy, relaxed and are enjoying every minute. Every wedding is as important as the last and as a luxury venue, we ensure our high standards are met with great communication throughout the planning process within our team and external suppliers. There are no dress rehearsals on a wedding day and we have just one chance to get it right! We go in to every wedding day fully prepared and excited to watch them celebrate one of the best days of their lives! 8. How do you feel technology is changing the industry? There has been a massive change in how we market and advertise in the industry over the past 3 years. As social media platforms, blogging and online interaction show no signs of slowing down, we as a business have had to adapt and embrace these changes. Couples are now able to plan their weddings from anywhere in the world, on any device which has totally changed the wedding and creative industries. We like to use our social media to inspire and interact with our followers, making their experience fun, creative and helpful. 9. What has been your biggest time saver this year? As our company continues to grow, we have been able to expand our Events Team and welcomed Victoria in July this year. Victoria has been invaluable in helping to provide additional support to our Events Team in both practical and administrative duties and has also quickly become an integral role in the running of weddings and events at the barns. 10. How do reviews affect the industry? The first thing we all do when booking a holiday or checking out a new restaurant is to read personal reviews about the place in question and this is the same for your wedding venue! Reviews are a fantastic way to share experiences and give personal insights in to what others could expect. We love to hear from our past couples sharing their thoughts and memories from their big day. 11. How do you get to know your couples before the big day? We begin building relationships with our couples from the very first phone call, email or initial meeting. After the first contact with them, we always encourage our couples to come and have a look around the venue which gives us an opportunity to meet and discuss their big day in more detail. We always endeavour to find out more about what makes them unique, how they met and what their aspirations are for the big day. We are always available to talk to and to give advice where needed to ensure our couples are happy and making the right decisions for them. 12. What do you think makes The Granary Estates unique? Without blowing our own trumpet, we feel it is our team which gives the Estates its uniqueness. We are a young, dynamic and friendly team here at The Granary Estates and have a fantastic working relationship with all of our suppliers and industry colleagues. As a team, we are dedicated to our various job roles and are passionate about what we do. We always strive to continue to grow and develop individually and with the business so we can share our knowledge and expertise with our brides and grooms. 13. What do you think makes for the perfect wedding? Friends, family and fun! By now you have planned everything, managed to get all of your friends and family to the venue and created the day of your dreams – now you need to enjoy it! 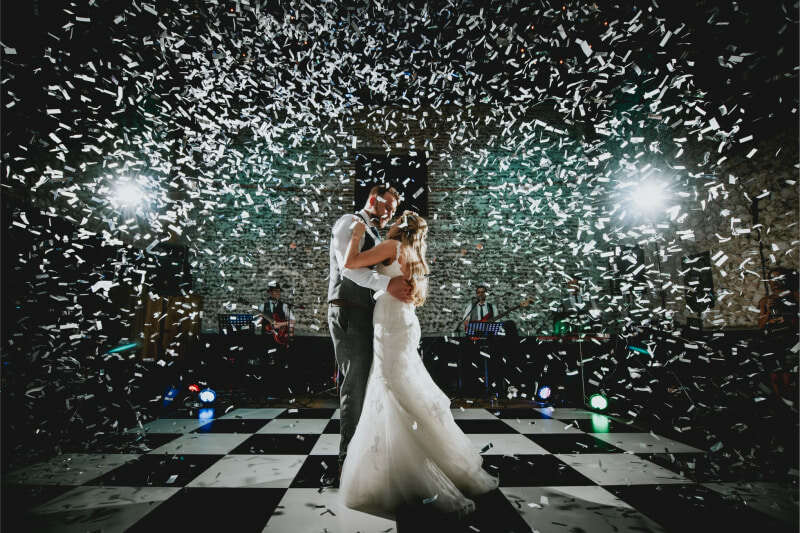 It’s important to be able to relax and enjoy the day you have dreamt of and nothing makes for a better wedding than happy newlyweds, good food, chilled drinks and a busy dancefloor! 14. What’s your favourite wedding memory? A favourite memory that stands out from this year has to be when a couple shared the news that they were expecting not one, not two but three babies!! We were let in on the secret as the groom planned to share the news in his speech and we were thrilled to see everyone’s reaction in the barns! Jaws hit the table, tears were shed and glasses were raised, turning the day in to a quadruple celebration – a great moment to have been part of! 15. What do you love about Bridebook? We find Bridebook is extremely easy to use, with clear navigation tools and a clean, minimal design all backed up by a supportive team. Having images located at the very top of our listing is fantastic as photographs are the best way to have an immediate impact and to display the venue. The response we receive from our Bridebook page is great with daily enquiries and a strong online presence in our region. A huge thank you to Lynne for sharing her Supplier Story. See the rustic Granary Estates in their Bridebook profile.